Is Your Digital Marketing Attracting The Best Clients For Your Business? We help find them and develop your scalable strategy. Your funnel is the unique buyer journey that is designed for your business to client relationship. Campbell’s Soup wanted a spaghetti sauce (Prego) for the masses, but what they found through a legendary foodie psychophysicist [yes I had to Google what that meant], was people actually like 3 types of sauces and one of them; extra chunky spaghetti sauce, was not being made by any of their competitors. Taking advantage of this opportunity Prego launched an extra chunky sauce which immediately took over the spaghetti sauce market and generated $600 million in profits over the next 10 years. That is why you need to segment your audience, you will find the blind spots, whether it is products/services or how to speak the language of your audience. Digital marketing is the even playing field for Small Business owners to grow their business sustainably. to achieve rapid and sustainable growth. Your website is a valuable tool in your digital plan, you can leverage your marketing strategies – organic or paid with a relevant landing page, a hook to obtain contact details from the right segment of the market that gets your business. Organic Reach – SEO results in keyword search when people want to find answers/products online, most times make up a large component of how people find your business. Depending on your market, it can be a crucial tool to find customers who want what you offer without it being dependent on you having a paid advert running. It’s one of the tools that should be in your tool belt for business growth. Storytelling peppered into SEO strategies will make it easier to make a connection with your clicks to your site. When your content taps into the way your clients think, your sales will be easier. Designed right, each page on your website speaks to the people who make the decision to engage your business. Each page has a purpose in the education process of your clients to take them from curiosity, alleviate doubt, build trust, take an action = make a sale/fill out a contact form. Therefore the copy, the graphics and the videos [content] need to speak to your client and answer their questions so they will give you their attention [and details and get onto your email list]. Today it takes 16 touchpoints (branded messages) – a composite of website visits, Facebook or Adwords ads, email, videos watched or Google searches before a click will become a client. This is why you need a communication strategy, this is the element of your funnel that allows you to have the 2nd, 3rd, conversation with your visitor. So what does an online communications strategy look like? It is a curation of stories and pictures (videos) that stick with people because we, you, stand for something. For your brand marketing (educate strategy), you share stories and pictures that has meaning to your market. For your direct marketing – you do the decision aspect of the strategy. Have something to invite them to = something of value you can offer that will persuade them to give you their contact details so you can let them know a little bit more about your business over time. Nurture emails = education/information of your service/product through your newsletter which you send out weekly, monthly, biannually whatever suits your business buyers cycle. Small Businesses that adopt some form of automation; CRM, Email, Remarketing Campaigns, are more likely to scale with lower costs. 2. Or re-marketing through social media with campaigns that are relevant to the pages they landed on, on your site. Keep the context in your communications so that the message is consistent and relevant. Your content should always educate, targeting your ideal client with campaigns that you run through the year. That which is measured can be improved, leveraging the measuring in the data, allows us to develop a strategy from the clients’ patterns. Success is different for each business, some need 100’s/1000’s of clients to grow, some need 5-10 per month to keep their client stream consistent, each has a different funnel (sales and marketing) automation strategy. But the objective of your business is the same, to change the way your clients think about what you do, so your marketing finds and nurtures visits in clients. Marketing and sales automation through a great funnel is the medium to help you do that. You get to know your clients better with each passing click, like, share and buy. The elements of a good funnel are by offering the right information at the right time. Each step to your funnel, you are teaching, asking for a commitment, learning what the client wants, so that you get to make the next step – the drip by drip strategy to getting them to buy, commit and come back. We, you, get to figure out, step by step on how to not only capture the attention of your clients but keeping it and being relevant and resourceful at each step. A great funnel adds value to your business now and at the point of sale if that is in your plans. 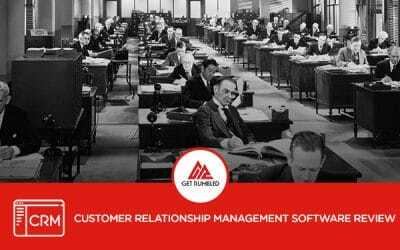 When you come onboard with rumble media, if there is a way that you can use your internal staff to edit sections of your website, learn how to use software that automate your marketing and sales processes, we make sure that your business is supported to learn how to harness the power of new software. There is so much to do in the digital presence of your business, having an internal stakeholder being at the helm of learning the way this software are integrated into your business is how we utilise customised videos to make sure you have a resource of how to’s when it comes to using the new systems. Once you become a client of Rumble Media, we are always at hand with a team that works 24/7 that can help you with your project. Our team can help you out a little or a lot, depending on how much technical or strategic support your business requires. The technology leap is an ongoing learning curve and we like to offer our customers the peace of mind to know that we are just a text, message, Zoom, email or Slack message away. Peace of mind of how you can navigate growing your business with marketing and CFO advice is right here at your fingertips. Would you be interested in having weekly/monthly strategy calls with Irene, to be able to guide you through developing a funnel strategy that will help you scale your business quicker than going it alone? One of our business mentors wisely said, spending time learning tech = loses you money, your focus needs to be on what you are good at. This could be the right fit for you, let’s talk. Ready to reassign your marketing budget to digital marketing and require a team to develop and implement a strategy for your business to grow with systems that can be refined over time with real data to support the next best move? Let’s find out if we are a good fit! I’ve found that our smartest decisions come from understanding and connecting with our customers. Melanie Whelan – CEO of SoulCycle [Harvard Business Review 2017] This is the foundation of a great business and marketing strategy, being relevant to the people who get what your business offers. When you have a funnel strategy that is designed to speak to those people who make up your tribe, it takes time, your strategies will last and can be built upon. Find out who you are for, that is a great place to start. Depends on your product/service and whether you sell to customers [b2c] or businesses [b2b]. Go where your customers are, find the platform; online or offline that already has your clients attention and then build up your presence there. We advise that we work within one, smash it out of the park on that platform, then move onto others. Build a house of bricks, not sticks. 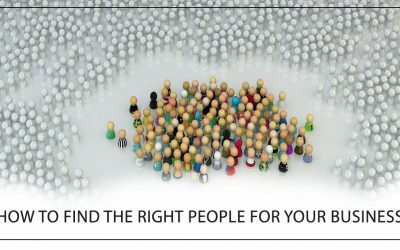 When you’re looking at different ways to find the right people for your business in the online world, focus first on your current clients. Content should be influenced by your customers actual needs and your solution as opposed to what you think they need. Marketing automation systems allow small businesses to scale-up, streamline, and automise marketing campaigns in order to drive more revenue. For 20 years I have had my own business, each one taught me something about myself and how to do business better. But when the internet and social media became a thing, I saw this vehicle that allows Small Business owners to grow in a level playing field. My drive is to help entrepreneurs/small business owners unleash the power and drive within themselves to build a business that they can change the world for the better. Cari has 14 years of content generation and strategies experience and she works in an efficient and strategic way to get your business content optimised for organic reach in Google and speaking to your audience wherever they are in the buyers journey. David is a business change strategist, more than your average registered CPA. As a Virtual CFO, David offers business development strategic advice to our clients to help them navigate cashflow and growth challenges. He can take chaos and turn it into a masterpiece in no time. Most business owners just need a pivot or tweak to what they are already doing to take their business to the next level. What we specialise in at Rumble is we help identify what blindspots you have in your business, your clients and your funnel and resolve that with the main objective being increased market share and sustainable business growth. We work with a few clients at a time, so let’s get to know if we are a right fit. Reach out and tell us a bit about what your business.